With the change in teaching methods and the evolution of new technologies in education sector, there’s come a new way of teaching tool named MyPedia. 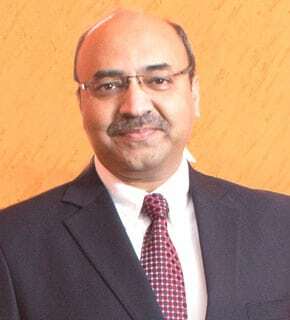 Deepak Mehrotra, MD, Pearson India throws light on how MyPedia, a new technology is adding value to the education system and helping teachers and students to develop their skills. The Elets News Network peeps into a mind. Please throw light on MyPedia? The challenge for a learner is the skills that you are acquiring. The learner typically starts slotting and classifying them according to the subject specific capability. Where as we typically learn concepts and subjects, we try and get to know those concepts a little better. Transferability of that conceptual learning and the skills moving and getting aligned more to the concept and not to the subject is at the heart of the entire MyPedia philosophy. It has four key elements in it in terms of the text books and the way the whole curriculum is delivered. The idea is to get a child in the formative years, to get clarity on the concepts and get the child to learn concepts through an integrated curriculum. Integrated curriculum is delivered by ensuring that the concepts that the child should be cleared about get reinforced through all the subjects he is going through. So at a particular point in time, the child will be taught a concept and in every subject teacher will be drawing from the same board and plan should be reinforcing the conceptual learning. Integrated curriculum and text books which are ensuring that learning from one to another are reinforced and multiple layers are getting used to reinforce the learning around the concept. Ample number of schools today have digital classrooms, however, the child possibly gets to see the content only once. All of us have different way of learning. Some of us are audio learners, active learners, video learners, so those who are not great video learners need to watch the video second time or third time or may be more, they can opt for MyPedia. In MyPedia the curriculum is integrated and there’s a home application which is available to the child, so whatever teacher is teaching in the class, the child on that particular day (on the text books there’s an indicator that there’s a video available on particular chapter or topic) just need to put his scanner of the smartphone and the scanner starts with one visual and takes you straight to the app and the video will start playing. This way parents get to know what the child is learning in the class and can actually partner relate more with him. The entire exercise of Mypedia is resting on a very strong assessment backbone. The assessment backbone is helping the teacher know at the root level. All of those kinds of things, which provide fantastic insights both to the teacher and the parents, help the child use time more productively. There are set of assessments which can played on and the child typically answers those. There is a very strong assessment tool which tags the response to say what part of the learning has the child got right and in case you did not get the answers right, what possibly is the conceptual gap that the child needs to cover. The entire exercise of MyPedia is resting on a very strong assessment backbone. The assessment backbone is enabling the teacher to know the problem at the root level. All of those kinds of things which provide fantastic insights both to teacher and parents enable the child to use the time more productively. What is the success rate of MyPedia? We have launched the product late this year so the adoption by the schools will start by Dec 2015-Jan 2016. So, several parts of the country will see the adoption cycle growing this year. But wherever we were able to reach out we got fantastic response and have received lot of queries. We are looking at a number of 100 schools to adopt the technology in class 1-5. We are looking at North, East and West at present. South is till to happen which we will tap in June 2015. In which cities do you see the adoption of MyPedia growing? I see enough space for adoption in every city. The entire assessment insight is an advantage every school seeks. Irrespective of the fee point, irrespective of the city, we have seen a positive response. The aspirations in the metros are fairly well known to everybody. There are fairly well informed schools and parents but then the mini metros give an opportunity for our children to compete with the students who are the best available possibly in the metros. We are seeing a pattern of adoption all across the cities. As part of this product, we are also offering some teacher training tools, a big plus to every school struggling to get a good quality teacher to ensure that teacher delivers. Are you targeting government or private schools at present? Right now we are looking at private schools. For Government, the interaction and the conversation have to happen. While we have seen some state curriculum showing interest but we haven’t really gone the government school route yet. But in some point of time we will be tapping them as well. Right now it’s only a function of ability to reach. The buying cycle of government schools is very different. Does the teacher get an assessment report of the assignment completed by the students? As the child does it, a teacher gets the complete report. 50 kids got the assignment, 30 attempted , 20 completed it, 18 got it right, 2 started it but not completed it, so each of these granular information is available for the teacher to actually go back and start engaging the students. The excuses don’t work in this technology. Are the teachers comfortable using MyPedia technology? They are excited, anxious but the fact that we are willing to handhold it and stick them through the whole journey makes it interesting. The way we are thinking and doing it like as if school picked up 1-5 class, we will actually help them create a small room within the school with the video conferencing facility or chat room facility. We are going to use technology to ensure that the teachers are in touch with their peer groups and the training that we are typically talking about for the teacher.